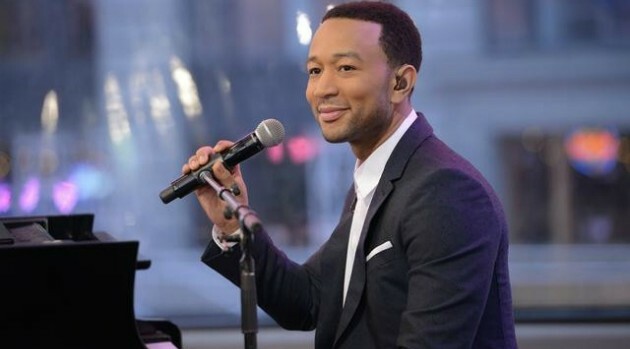 John Legend just wants to make you smile. According to Rolling Stone, the singer has teamed up with the United Nations to create “the world’s happiest playlist” in celebration of International Day of Happiness on March 20. The United Nations has enlisted the R&B veteran for its week-long #HappySoundsLike campaign. Ed Sheeran, James Blunt, DJ/producer David Guetta, actress Charlize Theron, and Australian singer and former Dancing with the Stars contestant Cody Simpson will also be contributing some joyful songs to the playlist. You’re encouraged to submit your own song suggestions by using the hashtag #HappySoundsLike on social media. Simpson will choose five of the fan-nominated tracks to be included on the official playlist, which will become available Friday, March 20 at HappySoundsLike.com. U.N. Secretary General Ban Ki-moon and other U.N. ambassadors are getting in on the action, too. Ban has already nominated his song pick: “Signed, Sealed, Delivered I’m Yours” by Stevie Wonder, who’s also a U.N. Messenger of Peace. “On this day, we are using the universal language of music to show solidarity with the millions of people around the world suffering from poverty, human rights abuses, humanitarian crises and the effects of environmental degradation and climate change,” Ban said in a statement.